Over the weekend, Solange Knowles said "I do" and we just can't stop talking about her happy day! From her unique photos to that adorable dance with her son to the wedding party attire, Knowles' wedding was definitely a special one. Unfortunately, it didn't end on a good note. 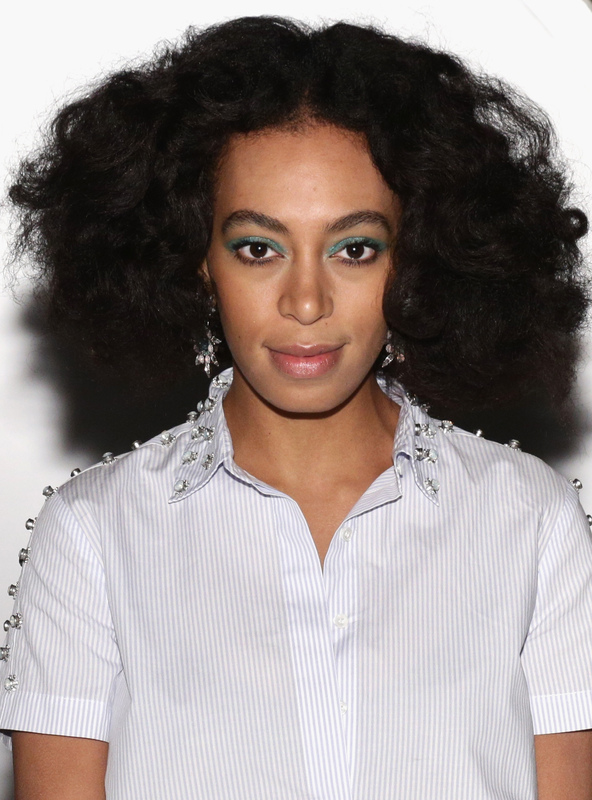 Apparently, her happy day ended badly, as Solange broke out in hives at the end of the night. As she exited the venue with her sister, Beyoncé, and brother-in-law Jay Z, some photographers noticed hives all across her face and neck. Beyoncé did her sisterly duty by covering her sister's face with a white jacket. Then, the group made their way back to the hotel. No word on when she broke out or what caused the outbreak, but it could have been anything, including an allergic reaction or the stress of the long day (though based on what we've seen, it doesn't look like she was a bit stressed). Whatever the case, Knowles seemed to be in good spirits throughout the weekend. I think it's important to not let this be the focus of Knowles' ever so special day with her new hubby Alan Ferguson. Also, let's not put too much emphasis on ridiculous (albeit joking) speculation, like Knowles being "allergic to Jay Z," as TMZ says, or that she did indeed have an allergic reaction, when we don't now if that is the case. As if Knowles needs more crazy rumors swirling during this exciting time.